A protein may hold the key to maintaining the health of aging hematopoietic stem cells, according to work by researchers at the Icahn School of Medicine at Mount Sinai recently published online in Stem Cell Reports. 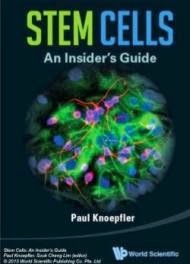 Human adults keep stem cell pools on hand in key tissues, including the blood. These stem cells can become replacement cells for those lost to wear and tear. But as hematopoitec stem cells age, their ability to regenerate blood declines, potentially contributing to anemia and the risk of cancers like acute myeloid leukemia and immune deficiency. Whether this age-related decline in stem cell health is at the root of overall aging is unclear. The new study reveals how loss of a protein called Sirtuin1 (SIRT1) affects the ability of blood stem cells to regenerate normally, at least in mouse models of human disease. This study has shown that young blood stem cells that lack SIRT1 behave like old ones. Using advanced mouse models, the research team found that blood stem cells without adequate SIRT1 resembled aged and defective stem cells, which are thought to be linked to development of malignancies. "Our data shows that SIRT1 is a protein that is required to maintain the health of blood stem cells and supports the possibility that reduced function of this protein with age may compromise healthy aging. Further studies in the laboratory could improve are understanding between aging stem cells and disease." said Saghi Ghaffari, MD, PhD, Associate Professor of Developmental and Regenerative Biology at Mount Sinai's Black Family Stem Cell Institute, Icahn School of Medicine. Next for the team, which includes Pauline Rimmelé, PhD, is to investigate whether or not increasing SIRT1 levels in blood stem cells protects them from unhealthy aging or rejuvenates old blood stem cells. The investigators also plan to look at whether SIRT1 therapy could treat diseases already linked to aging, faulty blood stem cells. They also believe that SIRT1 might be important to maintaining the health of other types of stem cells in the body, which may be linked to overall aging. The notion that SIRT1 is a powerful regulator of aging has been highly debated, but its connection to the health of blood stem cells "is now clear," said Dr. Ghaffari. "Identifying regulators of stem cell aging is of major significance for public health because of their potential power to promote healthy aging and provide targets to combat diseases of aging," added Dr. Ghaffari. Researchers from Harvard Medical School and Children's Hospital in Boston contributed in the study.